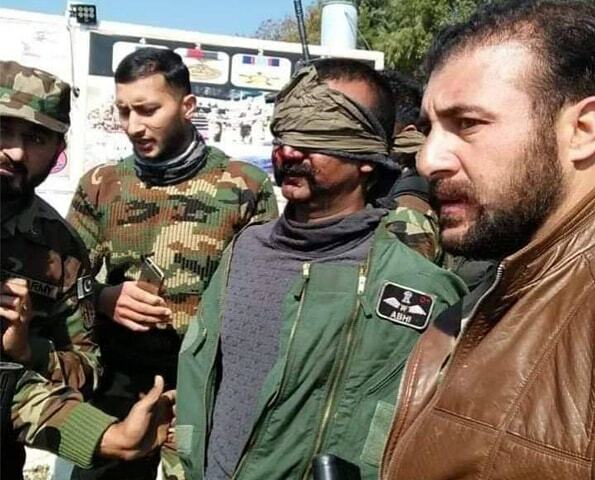 When Pakistan handed back Wing Commander Abhinandan Varthaman to India, the spectacle of the graciously quick return of the MiG-21 pilot, shot down and captured by Pakistan, elicited both international plaudits and misplaced triumphalism. But the spectacle also masked more important military and political factors at play. The two military rounds played between Pakistan and India on February 26/27 in the wake of New Delhi’s aggression against Islamabad, after the February 14 Pulwama attack, have important lessons for deterrence as well as the question of whether limited war options are possible between a nuclear dyad. India has, since long, accused Pakistan of playing the conflict game at the sub-conventional level while denying India its superior conventional capabilities by signalling the resolve to introduce nuclear weapons first and early into a conventional conflict. This line of reasoning, simplistic though it is, has been widely lapped up, not only by Indian analysts but also Western scholars. Meanwhile, India, since the limited conflict in Kargil (1999) and then the 10-month long Twin Peaks crisis (2001-02) has been conceptualising how to punish Pakistan conventionally while remaining below the nuclear threshold. Put another way, India thought — and many experts agreed — that there was a band in which India could act militarily and punitively. That, if India were to play within that band, it would make it extremely difficult for Pakistan to escalate to the nuclear level because such escalation would be considered highly disproportionate and would draw international opprobrium and consequences. The argument was that the certainty of international diplomatic and economic isolation would force Pakistan to stay its hand and not escalate to the nuclear level. The banal equivalent of such a situation would be someone punching another person in a crowded bazaar and the victim, instead of keeping the fight to fisticuffs, chooses to draw and fire a pistol. Not only would such a person lose the sympathy of the crowd, he would also invite the full coercive and normative weight of the law. Corollary: whoever ups the ante in a basic fight ends up as the loser. However, while the Indian military planners were thinking about this for the past two decades, until the arrival on India’s political scene of Narendra Modi and his éminence grise, Ajit Doval, New Delhi shied away from actualising a short, sharp military option against Pakistan, focusing instead on exploiting diplomatic channels using its diplomatic heft. This was the beginning of India’s Cold Start doctrine that envisaged creating eight Independent Battle Groups, placed closer to the border and capable of a short, sharp, punitive action against Pakistan without the long mobilisation delays India experienced in 2001-02. Interestingly, while India for long denied that such a doctrine existed — despite having done some field exercises to validate it — the current Indian army chief, Bipin Rawat, acknowledged its existence in an interview barely three weeks after taking office on December 31, 2016. Let’s consider the underlying assumptions in all this. (9) India, given its diplomatic and military heft, will be able to raise the costs for Pakistan in an escalation spiral. Result: Pakistan will weigh the consequences as a rational-choice actor and prefer to climb down. Modi from the word go has been hyping his masculinity and informing his right-wing Hindutva vote bank that he could and would act where his Congress predecessors failed to, namely that he would teach Pakistan a lesson and create a “new normal”. The interesting assumption in all this, and one that should not be missed is this: the first-round result. Every subsequent assumption flows from what India could achieve militarily in the opening hand. Somehow, barring a few analysts, most literature took for granted that the first round would, of necessity, go in favour of India. And therefore, Pakistan’s cost for retaliation would increase both militarily and diplomatically. In fact, this does make sense if it can be guaranteed that India’s gambit will work. Except, the opening round success could be guaranteed only if India were applying force on an inanimate object or if its conventional capabilities were far superior to Pakistan’s. The second crucial point in unpacking these assumptions is the limited nature of the engagement. It should be clear that India’s politico-military strategy post the 2001-02 standoff looked at any punitive military action in a limited, not full-scale, mode: military action below the nuclear threshold. 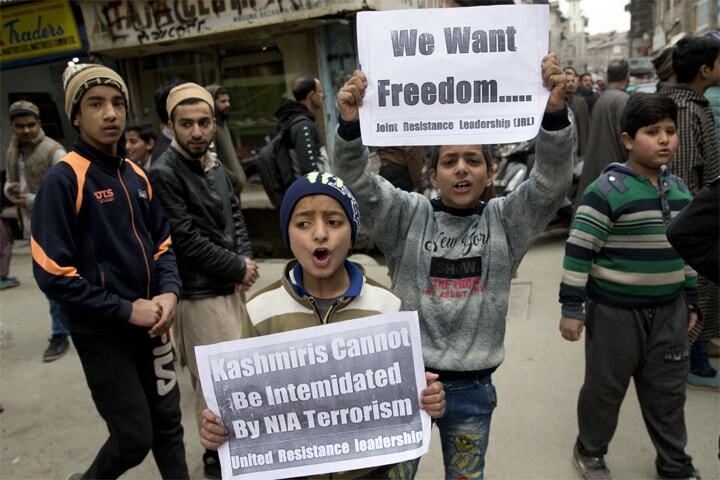 (4) India destabilises Pakistan politically or through internal subversion. As Dr Nitin Prasad says in his book, Contemporary Pakistan: Political System, Military and Changing Scenario, Kidwai was using hypothetical scenarios, and his four thresholds — geographic, military, economic, domestic-political — were not red lines, defined and understood by the adversary or other parties, because clearly defined red lines dilute deterrence and provide room for conventional force manoeuvring. The point about the limited nature of India’s military plans is important because, while a case can be made for India possibly overwhelming Pakistan in a drawn full-scale conventional conflict which brings in other factors, a limited thrust or strike — if there’s not a huge differential in technical and other capabilities — may not necessarily play to the stronger adversary’s advantage. Put another way, if the presumably weaker side denies the stronger side success in the opening round, draws its own blood successfully while showing restraint, it can raise the costs for the stronger actor by upending the latter’s assumptions based on the success of the opening round. But what exactly is deterrence? It can have both the conventional and the nuclear dimensions. Essentially, deterrence is the ability to discourage an actor from undertaking an unwanted action, including an armed attack. It is, in other words, about prevention, i.e. convincingly stopping an actor from an action. The sister concept, what Thomas Schelling described as compellence, is about forcing an actor to do something in line with what the compeller (adversary) wants it to do. By India’s reasoning, its limited military options are about deterring Pakistan to undertake actions at the sub-conventional level and to deter India from making use of its conventional strength because of the existence of nuclear weapons. This is where the problem begins. Deterrence is not just about threatening an adversary with punitive action. In order for it to be successful, it must shape the adversary’s perceptions, i.e., force the adversary to change its behaviour by estimating that it has options other than aggression and which are more cost-effective. Shaping perceptions of the adversary that needs to be deterred would then require the deterrer to understand the motives of the actor who has to be deterred. Without that exercise, any limited action, even if it were temporarily successful, would fail to impact a behaviour change or incentivise a state actor to do something different. Also, deterrence by denial, the ability to deter an action by making it infeasible is a far better strategy than deterrence by punishment which, as the term implies, promises the resolve and the capability to take punitive action(s) and inflict severe punishment. So, in the case of the rounds played, deterrence has worked at two levels. First, the overall, umbrella deterrence that flows from the possession of nuclear weapons on both sides. This level ensures that even if one or the other side decides to undertake military action, it must keep it limited. The second level is about conventional deterrence. If X has undertaken a military action, Y can prevent it from achieving its objective and, by successfully undertaking its own action, can force X to rethink its use of any military option. The rethink is important because, in such a play, if Y has prevented X’s action and successfully undertaken its own, X cannot simply retaliate to a reprisal. X will have to climb up the escalation ladder, i.e., it has to scale up by using an escalatory option to defend his commitment. Escalation is about a higher cost and the rethink is a function of forcing X into that cost-benefit analysis. It is precisely for this reason that the opening round is so crucial for the aggressor, in this case India. To recap, as noted above in the list of assumptions, every subsequent assumption flows from the success of the opening round. At this point it would be instructive to view all this from the perspective of the Modi-Doval duo. Both men believe, or at least had convinced themselves into believing, that the previous Indian governments did not make use of a conventional military option because they were weak-kneed. Modi, by referring to his 56-inch chest, from the word go has been hyping his masculinity and informing his right-wing Hindutva vote bank that he could and would act where his Congress predecessors failed to, namely that he would teach Pakistan a lesson and create a “new normal”. In September 2016, following an attack on an army camp in Uri in Occupied Kashmir, one morning the Indian Director-General Military Operations announced to a packed press conference that India had conducted “surgical strikes” in Azad Kashmir, across the Line of Control (LoC) and destroyed “terrorist” bases. He also said that he had told his Pakistani counterpart that India did not intend to take any further action and that its action was only directed towards non-state actors. The Indian media, as well as serious analysts, went into a tizzy. Days on end, there was nothing on Indian TV channels and newspapers other than this “great victory” against Pakistan. We were told that Pakistan had not retaliated because Pakistan Army posts and troops in the area were caught off-guard and Pakistan was playing it down because the action was an embarrassment for it. Even serious analysts began talking about a new normal. 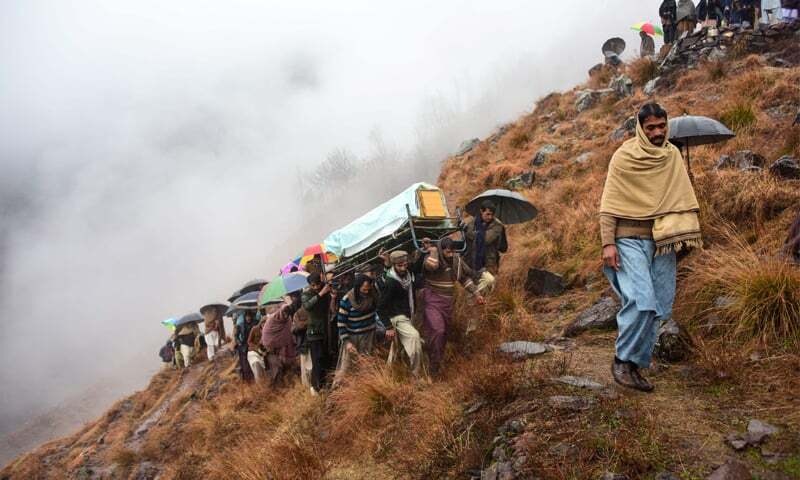 This is what Shashank Joshi, then based at the Royal United Services Institute in London, wrote in the opening paragraph of his op-edin The Hindustan Times: “India’s ‘surgical strikes’ on Wednesday night… — barely a few kilometres across the Line of Control (LoC) — … represent one of the most important changes in India’s military posture to Pakistan in over a decade.” He did acknowledge that this hadn’t happened for the first time and the fact, as he put it, “that Pakistan will not reverse seven decades of policy without a diplomatic process” but there was headiness, nonetheless. And this is just one example. There are scores of others. Pakistan did not retaliate because it was a fire raid where Indian troops were blocked at two points of ingress but managed to sneak in at the third, fired at some hutments and withdrew. 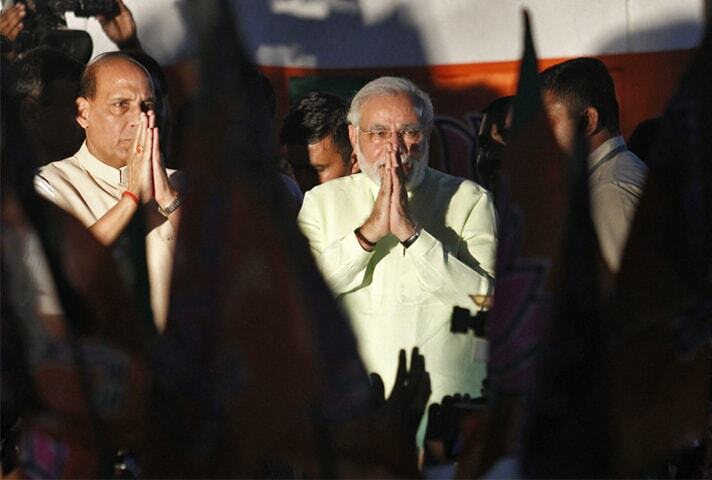 By hyping it, Modi locked himself further into a commitment trap. Apart from some discerning commentators in India, everyone chose to forget that such actions had been undertaken at the LoC by both sides in the past and that there was nothing ‘surgical’ about India’s fire raid. On February 14, therefore, when a bomber mounted the deadliest attackon Indian paramilitary troops in recent times, Modi was left with no option but to act. With a tough election staring him in the face and his chest blocking a clear view of rationality, he decided to use a limited military option. Only this time it had to be more than just a raid across the LoC. He jumped a few rungs on the escalation ladder by deciding to use his air force. The story about what happened on the morning of February 26 has now become a laugh and it has been walked back a few miles and some more by India itself, so those details are not necessary. Whatever little was left of India’s fantastic claim about hitting a “training camp” and killing “terrorists” has been finally laid to rest by a Reuters story that reviewed satellite imagery from Planet Labs Inc. However, what is important is not whether Indian planes came into Pakistan (original claim), whether they struck in a stand-off mode (i.e. when aerial platforms are used from a safe distance, away from defensive weapons, and use precision munitions such as glide bombs to attack a distant target without actually coming upon the target and swooping down for a bombing run) or even whether they could or could not make a hit. The important and crucial point was that India had challenged Pakistan and Pakistan needed to put an end to the “new normal” talk. Pakistan chose its targets, struck to show resolve and capability and then also won the dogfight. Later, we are told that India had thought of using missiles to hit nine targets in Pakistan. But Pakistan readied its missiles and informed India that it will hit back. That forced India to back off. 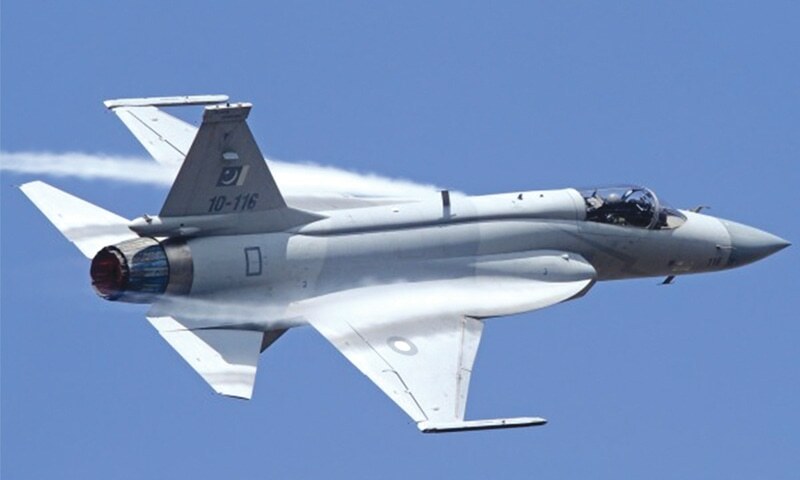 If this is true — and it comes to us from a briefing by Prime Minister Imran Khan — then it seems that Modi had nursed the idea of playing a very dangerous hand, which he couldn’t because that would have meant exchange of missiles between a nuclear dyad — a development which has remarkable escalation potential. Missilery between nuclear powers is a big no. There’s no known technology in the world that can determine whether the incoming missile has a tactical or a strategic (nuclear) warhead and that can lead to response miscalculation. The two sides are back to the ‘old normal’ — artillery and small-arms duelling across the LoC. The attempt by an Indian submarine to enter Pakistan’s territorial waters was also deftly picked up by Pakistan Navy, with the sub forced to return. It could have been sunk but Pakistan, in keeping with its policy of not escalating, chose not to make a hit. From here on, there’s nothing more for India but to understand the imperative of positive engagement through a sustained dialogue. The framework for such engagement is already in place. There is no alternative to talking and walking that talk. But that will not happen until we see the electoral contest in India and its results. At the same time, Pakistan must not underestimate India based on these limited rounds. While India could not coerce Pakistan militarily at this moment, if the growth differential between Pakistan and India continues to grow, the technological asymmetry will increase to the point where strategies of coercion could kick into play. That scenario could see very different results on the ground. For instance, India will possess the anti-access, area-denial (A2/AD) S-400 system by 2020. That system is not just defensive but can also be employed in a preemptive offensive role. Typically, A2/AD systems ensure that they can deny a mission to incoming hostiles (anti-access) and ensure safety of their own area against any hostile action (area denial mode). If things do not change through engagement, we could see India use the S-400 in any future round. That would be an entirely different ballgame altogether. The writer is Executive Editor at Indus News and specialises in defence and security.